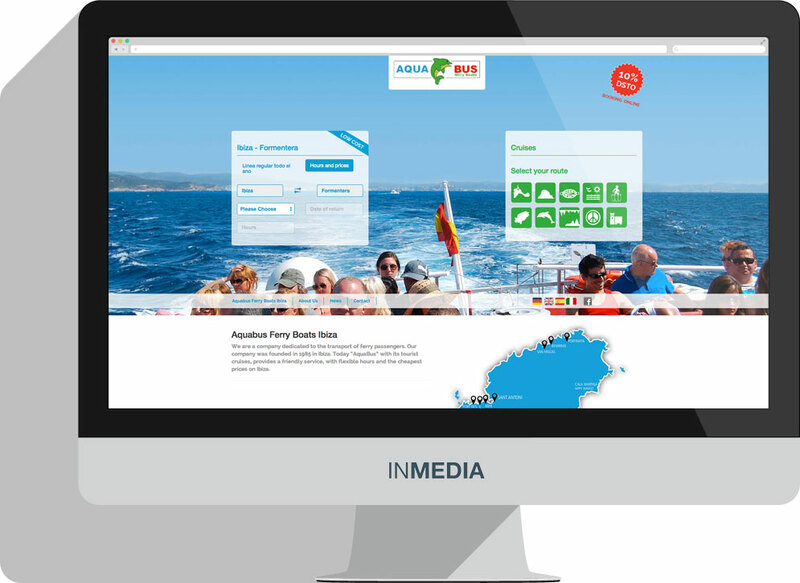 Aquabus Ferry Boats Ibiza is a company dedicated to the transport of ferry passengers. The company was founded in 1985 in Ibiza. Today “AquaBus” with its tourist cruises, provides a friendly service, with flexible hours and the cheapest prices on Ibiza. The 2015 website is a re-design of an existing website which we made in 2011. 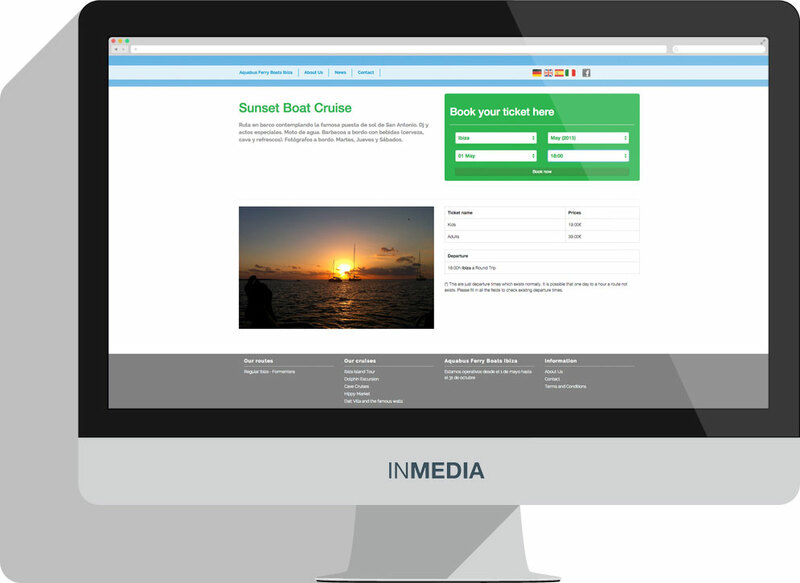 The aim of the new website was to sell tickets for the routes, cruises and excursions that they offer in a very simple way. The customer should be able to buy a ticket with just a few clicks – on his computer and on his mobile device too. 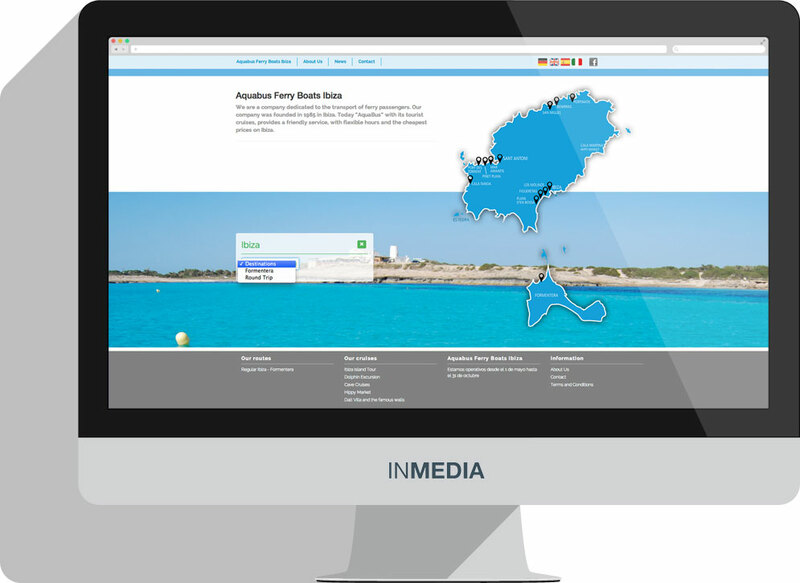 An interactive Ibiza map at the bottom of the website allows the customer to see which options he has from his current location. Even if a tourist who isn’t familiar with the island and individual locations, can book exciting trips to various places and, of course, to Formentera. The “machine room” of the website allows the admin to see exactly who booked when for what trip. 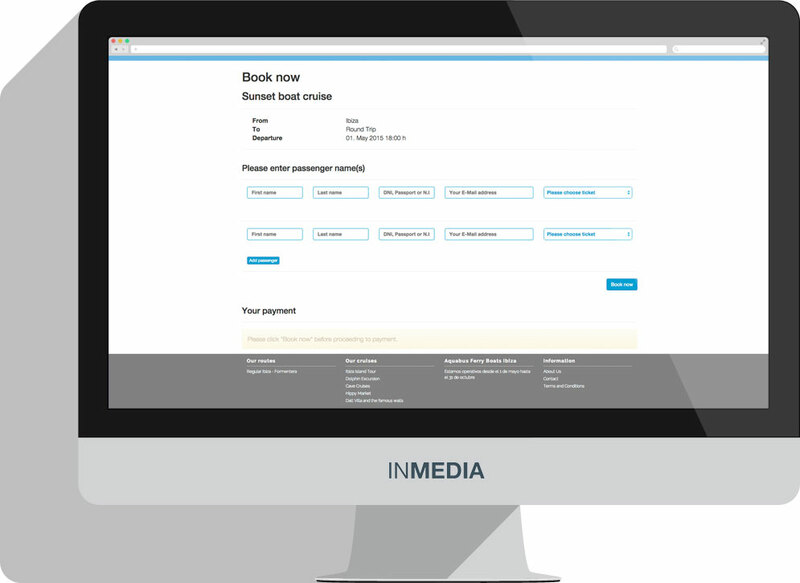 The system generates check-in lists for the boat crews as well as E-tickets for the customer, so there is no need to print a ticket.